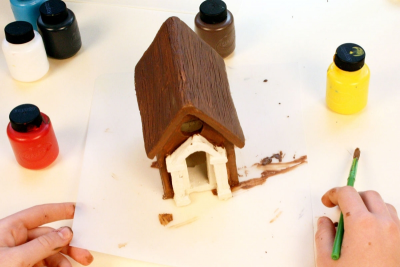 Students research and write an article to explain the Tiny House movement and then design and create a tiny clay house tea light holder out of air dry clay using slab handbuilding techniques and acrylic paint. Draw a house plan to scale. Include each part of the house. This will be your pattern when you start building the house with clay slabs. Tape 2 parallel slats of wood about .6 cm (.25") thick on either side of a plastic placemat so they are the distance of a rolling pin apart. Place a piece of wax paper on the placemat, between the wood slats. 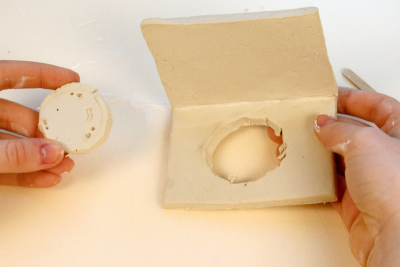 Place a small, flattened piece of clay on the wax paper. 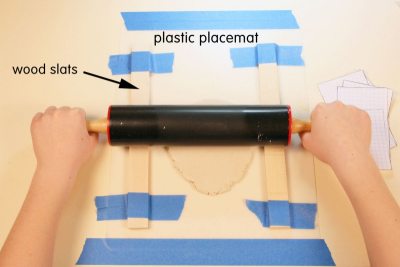 Place the rolling pin on top of the wood slats and roll out the clay. Place one of the house pattern pieces on top of the clay slab. Use a plastic knife or wooden stir stick to cut it out. Place them on a piece of wax paper. Allow them to dry slightly so the become 'leather hard'. Trace the outline of a tea light on the floor of the house. Make it slightly larger than the circumference of the tea light. Cut out the circle before adding any walls. 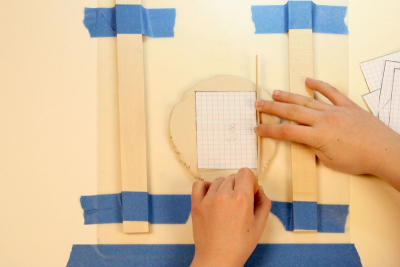 Use the score and slip technique to join the parts of the house to each other. Scratch texture lines into the clay and add details. Allow the house to dry for about 1 week. 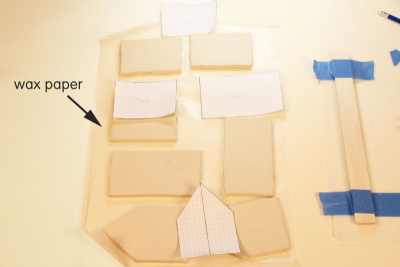 Place a plastic baggie loosely over the house to slow the drying down for the first 2 days. 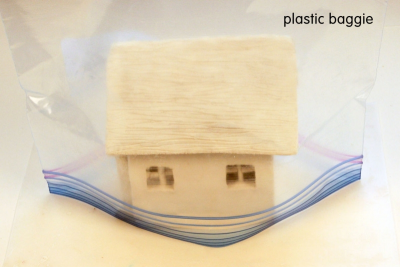 This will help prevent the thinner pieces of clay from drying too quickly and breaking away from the rest of the house. Once the house is completely dry, paint it with acrylic paint. Place a battery operated tea light inside the house. 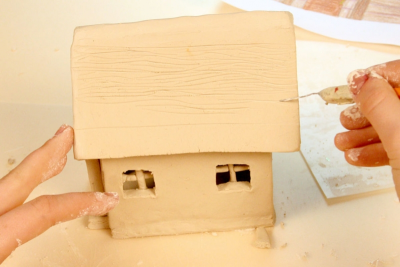 Create a brochure to explain the Tiny House movement that includes a drawing or photograph of their clay house. Gather, and make available, books about homes, for example, If You Lived Here: Houses of the World, by Giles Laroche; Let's Go Home: The Wonderful Things About a House, by Cynthia Rylant, and ‎Wendy Anderson Halperin; Going Home, by Eve Bunting,‎ and David Diaz; A Thirst for Home: A Story of Water across the World, by Christine Ieronimo, and‎ Eric Velasquez; and Wonderful Houses Around the World, by Yoshio Komatsu,‎ Akira Nishiyama,‎ Naoko Amemiya. Teach/review the writing to explain genre. Teach/review how to find the area of plane shapes, and draw plans to scale. View and discuss the images of tiny houses, drawing attention to their design and estimating their size in square metres. 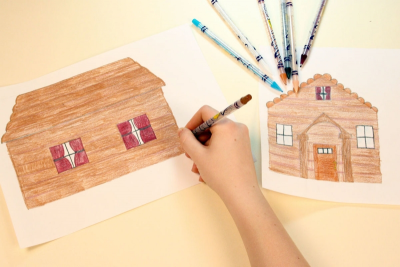 Invite students to imagine that they have decided to build their own tiny house. - Will it be permanent or mobile? - How big will it be? - What will it look like? 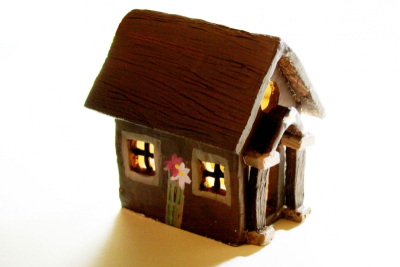 Create a clay house tea light holder. Demonstrate skillful slab handbuilding techniques. Design a house that is no more than 103 square metres (340 square feet). 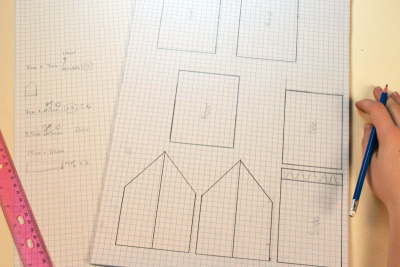 Measure and draw a house plan to scale. Write an article explaining the Tiny House movement. 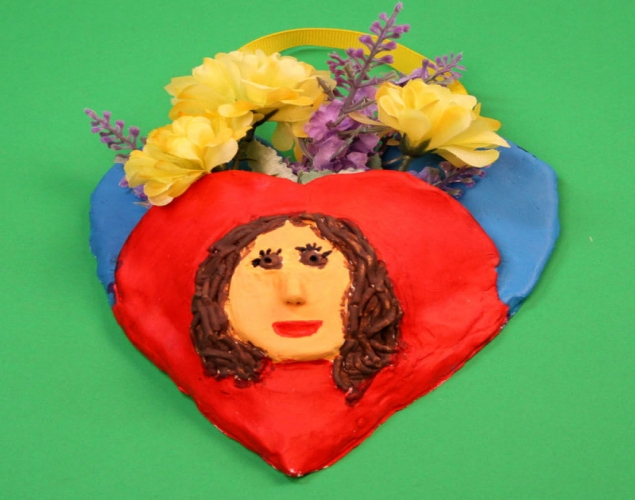 Encourage students to think of how they can create texture. Ask them to view the houses with the light on and off, and then to share thoughts about the works. - Design - How does the design make you feel about the idea of 'home'? - Light - How does the light from the tea light affect the way you feel about the house? - Texture – How does texture add to the overall effect of the design? 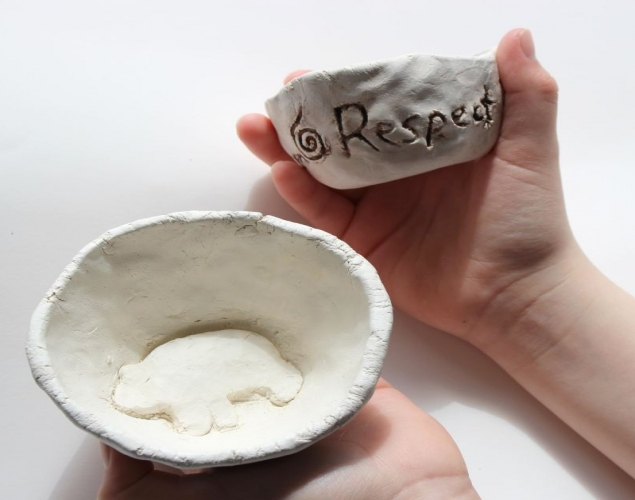 Observe students as they share and discuss their boxes – active listening, insightful contributions, supporting ideas with evidence found in the artwork and from personal experience.